Got my booth number for Edmonton Expo: Artist Alley E21. That’s September 28-29 at the Northlands Expo Centre. Ron Perlman’s gonna be there. At the show that is, not the EN booth. 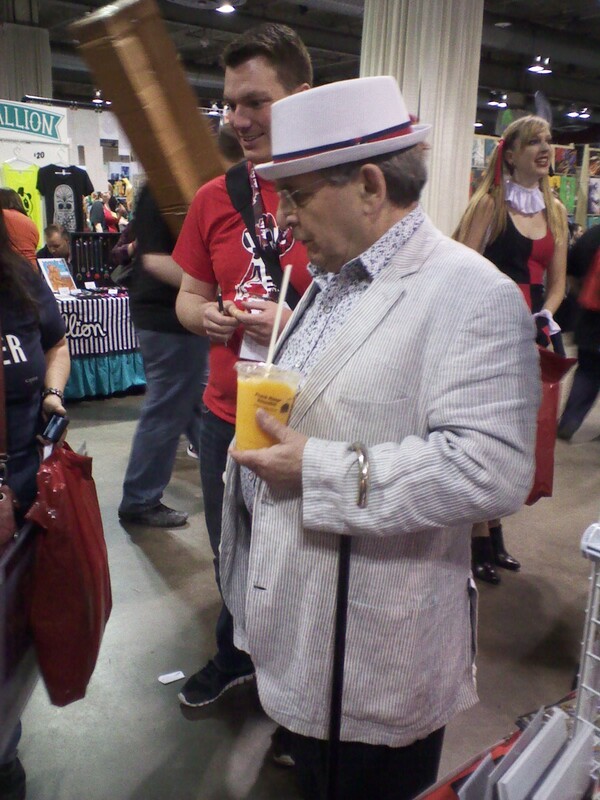 Although you never know; I mean Sylvester McCoy came by our booth at Calgary. …So we’re sure it’s not just a really serious roleplay? All you have to do for pronunciation is to have a swollen tongue, a rasp that sounds like you have swallowed a frothy ferret, and the eloquence of a disorganized schizophrenic, and you’re good. The second panel is epic not just for the action but also the necropolis. They should scan the book! Then they could run it through OCR or crowdsource by posting it to a forum with ‘Translation, pl0x’ as the title. I’m really, really starting to wonder if this is the main plot. Those cultists don’t look like they could handle Rogue alone, much less with Virus providing distraction fire. Considering there are such things as Machine Daemons in the world of EN, I seriously doubt uploading eldritch lore to a computer like that would be very safe or smart. It’s water lore! What’s the worst that can happen? OK, so maybe Fernex would find out and come to kill all of them. That’s the risk you accept when you set about resurrecting a god so universally despised that both sides killed it. Or maybe you’ll end up with a dishwasher that shoots shuriken starfish! Or a beach screensaver that’s actually a portal! I think one of the cultists was cameo bait, but I can’t be sure. Also, lol, it’s a phonebook. I’m loving just how nonchalant frog (toad?) guy is being about this whole thing. Wait a second, are these guys somehow related to the daemon forces working togeather in the underground science lab? 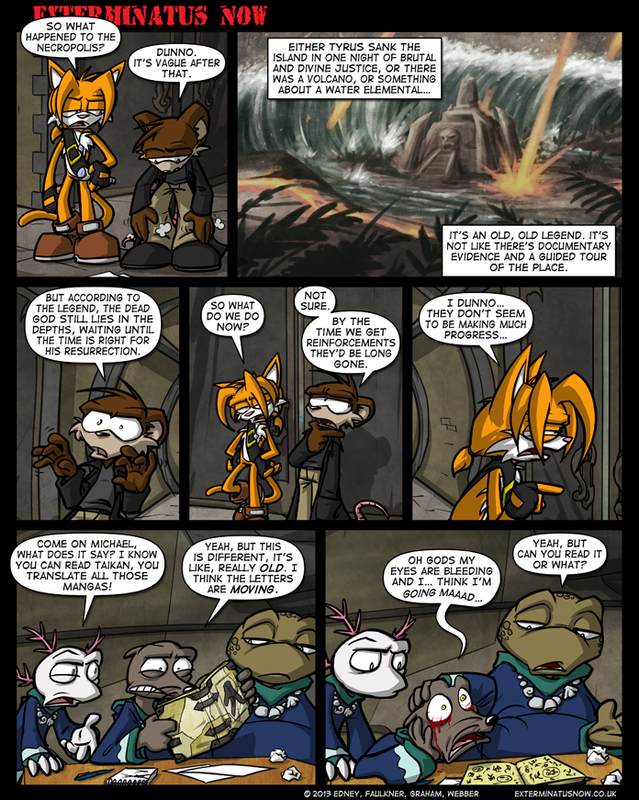 Is that dude in the last 2 panels a sea otter, or a water rat? Just wondering cause the rest of them seem to be amphibian, or aquatic life forms. It’s an axolotl, or a Wooper if you play Pokemon. derp sorry, I don’t know. Sorry I can’t delete messages. Meant to be a sea lion. Also should I be reading him in the voice of Freddy Mercury? The second common calling of the eldritch cultist. Absolutely no regard for the lives of those around them. For the calling of the common eldritch cultist… Absolutely no brains or common sense. After all the book only killed the other guys so this one must surely work! Morth kinda lampshaded this point earlier, about recruiting people too stupid to realize that they were going to be sacrificed. Wow, cool BG in second panel. Good work, Virus. And I have no idea how they gonna read the book. Great… *gets out Call of Cthulhu sourcebook* Where’s that section on recovering SAN? Moving letters – first sign you need new glasses. I don’t think that book is going to allow itself to be read by this bunch. Although it might be interesting to see what comes wandering down the tunnel to claim it. You might need to be a bit mad to read it properly. Then again, the book might also be reading the poor cultist. If he’s not careful, he’ll vanish and the book will be a bit thicker, with a few new chapters. right, so, since it’s been established there absolutly no threat from these mooks, when do we get bck to eastwood’s riveting courtroom battle? Ten bucks says Eastwood looses the case for Lothar and Lothar makes him pay it off. 2 bucks says that Lothar destroys whatever evidence is used against him and feigns ignorance. Warning: reading the book of half life causes blood vessels to burst in your eyes and madness. Do not read the book of half life. No, the book of half-life is packaged with a gravity gun and is written on something radioactive, and the symbol on the front is the symbol for wavelength int a circle. I think you’re supposed to use your fingers to read this book. That makes an almost scary amount of sense. Oh sure, I cannot imagine any self-respected author of the eldritch lore to not install such basic protocols (aside from the Patterner, but damned if he starts following rules) to prevent responsible reading of their pages. Might as well as use a decoder ring found in a bag of crackerjacks. Actually, making the decoder ring your key is rather clever for the Patterner to do. I mean, who’d suspect it? Plus, it’s the right colors, and the only way someone would find it is out of sheer boredom or paranoia, exactly the kind of idiot He wants worshipping him. I wonder if any eldritch lore has ever been printed in braille. What this could do is also give the reader Alien Hand Syndrome. Either the classical Strangelove version where the hand tries to strangle the reader or the hand turns into an actual alien. If I can find a PDF of the Mad Arab Abdul Alhazred’s Necronomicon online, 5 bucks says there’s been someone who does Braille Eldritch Lore. Though I suppose translating the old languages into modern Braille would be difficult, to say the least. Upside is, you’ve got great employment prospects, provided you don’t go insane. What an ingenious idea! Daemonic braille—for veteran summoners! Instead of mere bumps, it can be small spikes, adding that oh-so-important sacrificial flair to the whole thing. Just imagine the humor; instead of a ‘normal’ cultist sacrificing blind followers, a blind cultist would be sacrificing the normal followers. Hey guys, I found something neat. 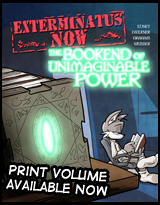 Our pal Nigel (under N. Athotep, just like in the Voodootube example) has been foreshadowed for FAR longer than you think. Although it’s less foreshadowing and more throwaway joke. … So, what? The book channels 4chan then? And is itself very swell – oh! I could have gone a few more thousand stanzas with this, but I think there’s only so much McGonagall that can be taken in one sitting. Like books of eldritch lore, it’s best to pace yourself while reading William Topaz’s poetry. Plus the strain of artfully desecrating rhyme and meter was starting to cause my brain to overheat. You have got to make panel 2 into a poster. Honestly, it would sell.